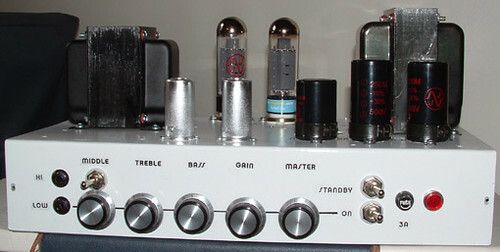 Scott at Electrodrone made us this amazing device that can function as either a 4watt amp head or a tube preamp/overdrive. 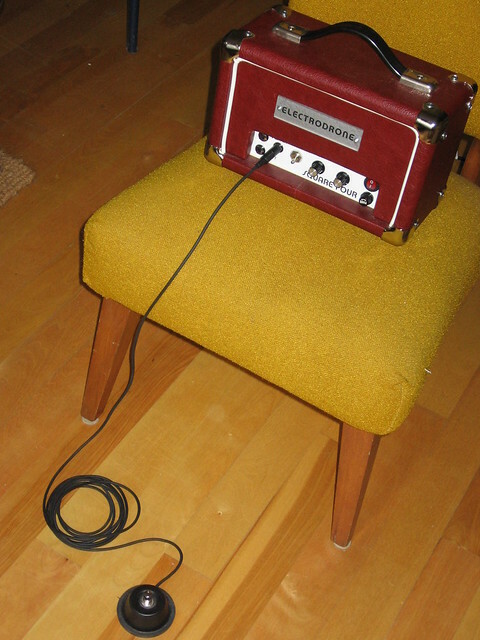 The speaker out jack is switching, so when no speaker is connected, a resistive load goes into circuit allowing it to function as an overdrive box. Much thanks to Scott for adding our request at very late stage in the design: a relay-based bypass footswitch circuit. This is an original design but Scott tip his hat to the late Gar Gillies (Garnet), whose Herzog design was an inspiration . 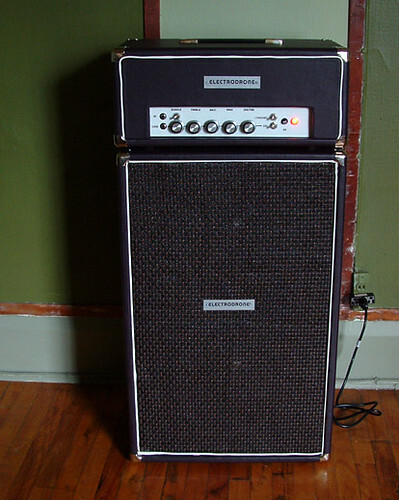 Our friend Scott Hodgson (Electrodrone) designed and built this very nice 50 watt high-gain amp for us in 2006. 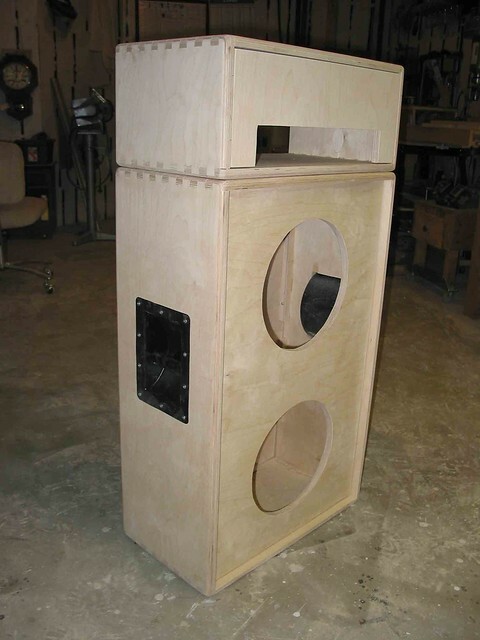 Scott’s father is an ace carpenter so we hired him to build the head and speaker cabinet enclosures. 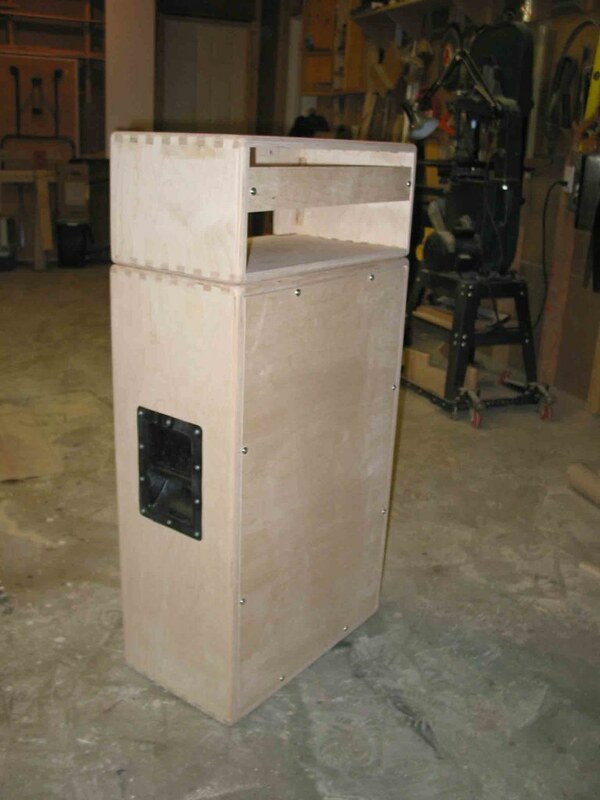 He used baltic birch.The finger joints fits together perfectly. You are currently browsing the archives for the Backline category.